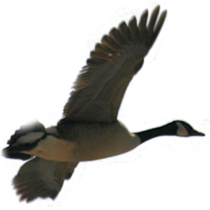 he Friends of Magee Marsh Association, Inc. is a 501(c)(3) non-profit organization that is dedicated to preserving the Magee Marsh Wildlife Area and the Sportsmen's Migratory Bird Center. Hunters and other interested parties the latest Federal Duck Stamp is now available through our bookstore/gift shop. View or download and print Magee Marsh Spring Songbird Migration information in pdf format. The current time at Magee Marsh is - 23:57:21 EDT (when this page loaded).